Delivery and / or Installation within Lower Mainland BC. 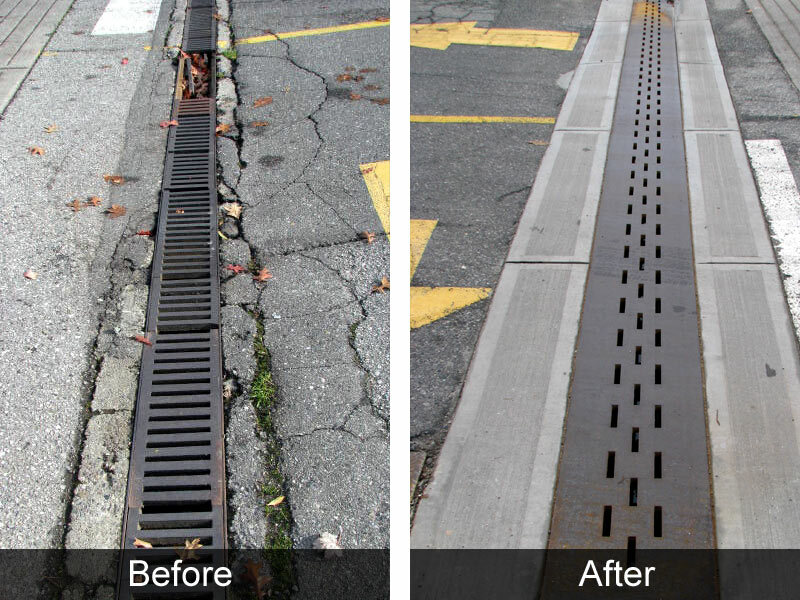 Trench drains eventually fail because of their exposure to the elements, heavy vehicle traffic, and the way they are normally constructed. 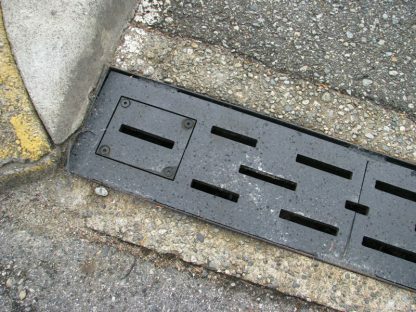 We build continuous trench drain grates and troughs that solve the key problems causing most trench drains to fail. 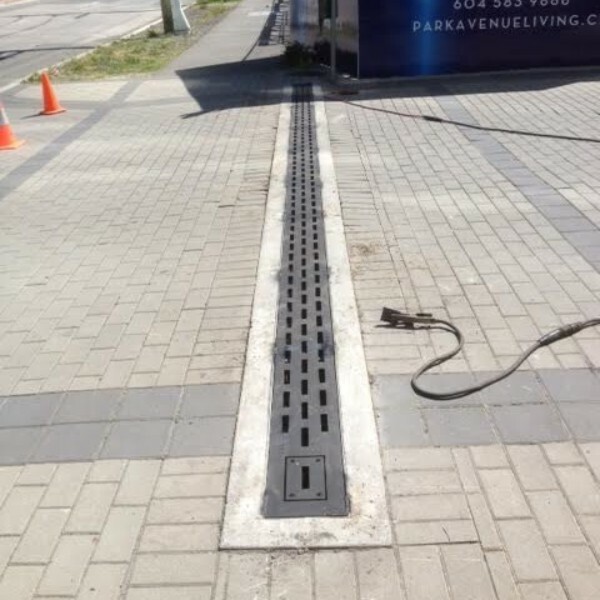 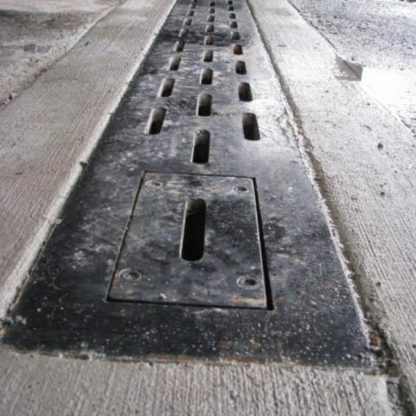 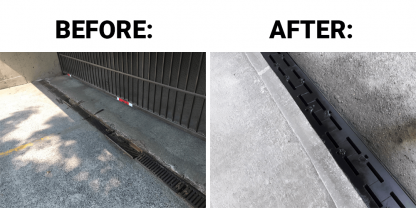 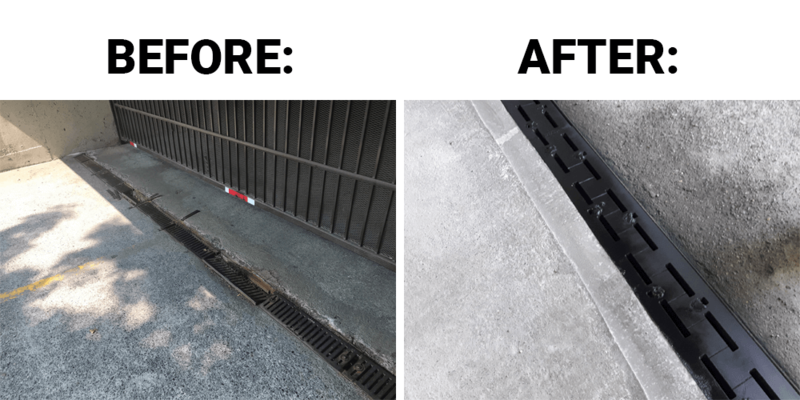 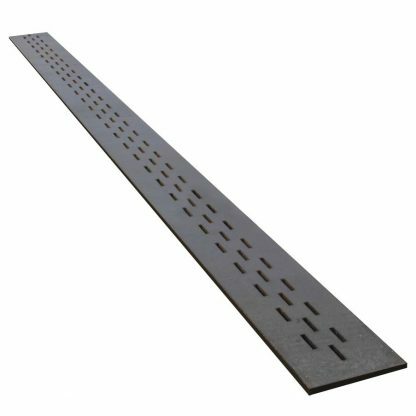 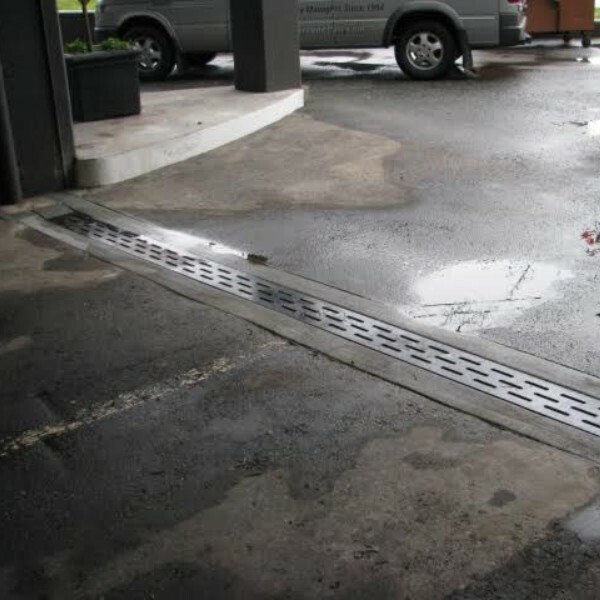 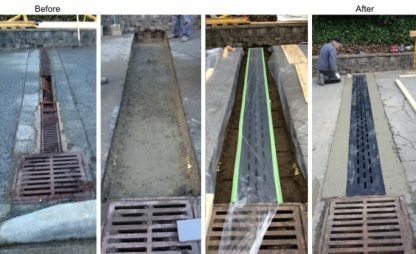 We can provide a variety of solutions from simply supplying standard trench drain grates to building and installing a custom continuous grate cover or complete trench drain. 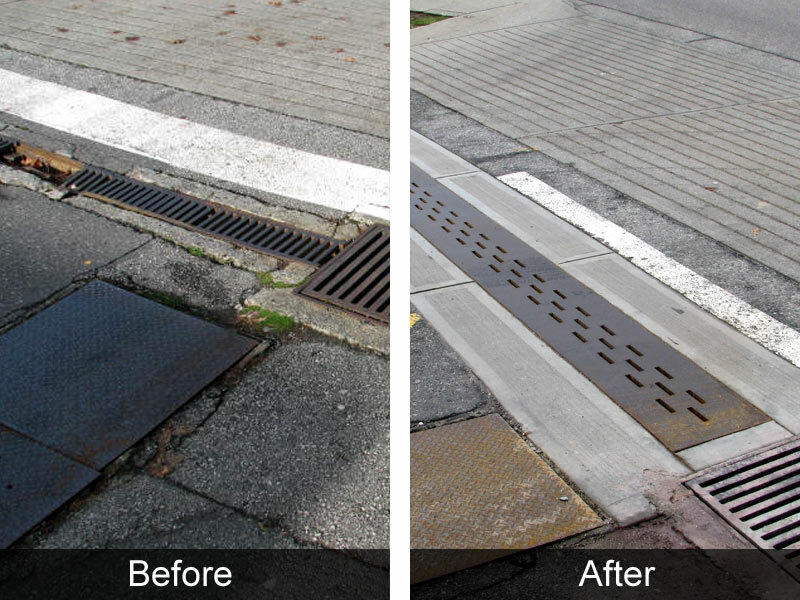 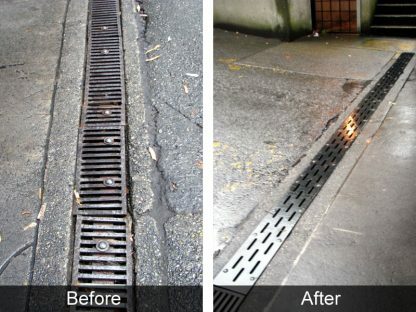 Contact us today for trench drain grates, repairs, and complete custom rebuilds within the Vancouver Lower Mainland.